I Skate, Therefore I Am: Pedro Barros wins Oakley BOWL-A-RAMA™2011! Pedro Barros and Pat Ngoho win Oakley BOWL-A-RAMA™2011! 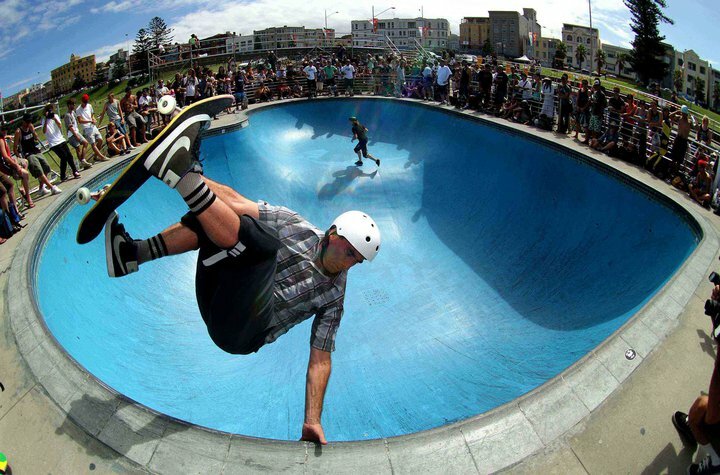 This weekend, top pool skaters from around the globe migrated down to Wellington, New Zealand for the annual Bowl-A-Rama. Like last year, after a long day of battle at Wellington’s Waitangi Park Brazilian phenomenon Pedro Barros won the thing. He beat out Sky Siljeg and Rune Glifberg for the top spot. And Venice local Pat Ngoho skated smooth as butter to win the Master’s! The crowd of over 6000 on Saturday 12th of February witnessed Pat Ngoho walk away with the Masters 1st place prize of A$2000 and youngster Pedro Barros with the Pros 1st place prize of A$4800, a prize purse which gave each skater a huge incentive to get amongst the competition in this years OAKLEY BOWL-A-RAMA™. The event series, including the sister event VANS BOWL-A-RAMA™ held at Bondi Beach in Sydney, has recently gone through some exciting developments including the World Cup of Skate signing a five year deal, major growth in prize purses and major sponsor alignments. "We are stoked to be able to work with the best in the industry to deliver a strong event every year” Comments Chad Ford, BOWL-A-RAMA™ Director. 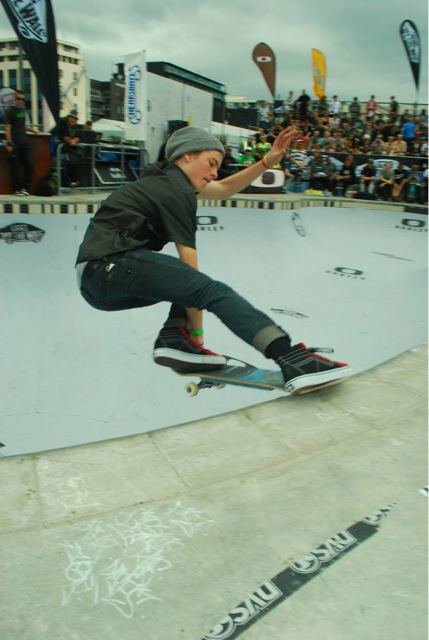 “The event keeps growing every year and brings with it the biggest skaters in the world. With the support of partners such as OAKLEY and World Cup of Skate, we are definitely on our way to becoming one of the most iconic skate events in history” He adds. The stand has been taken away for another year, after thousands of screaming fans saw 60 of the world’s best local and international skaters battle it out for top honors. These riders will now go on to compete in the WCSK8 Pro Bowl series 2011with the next event on the bill being VANS BOWL-A-RAMA™, Saturday 19th of February at Bondi Beach. Read the interview of Pat Ngoho at Juice Magazine.